The Instax Mini 90 Neo Classic, with its retro-inspire design, is arguably the best looking camera in the Instax range. It also comes with a wider range of settings and features which make this an excellent choice if you are looking for an instant camera that offers a higher degree of control over your photos. Has a 4.5 star rating on Amazon based on over 600 customer reviews! Bulb mode – the shutter remains open while the shutter button is depressed (10 seconds maximum) and a light trail can be photographed. Double exposure mode – by pressing the shutter button twice, you can superimpose two different images in one frame. 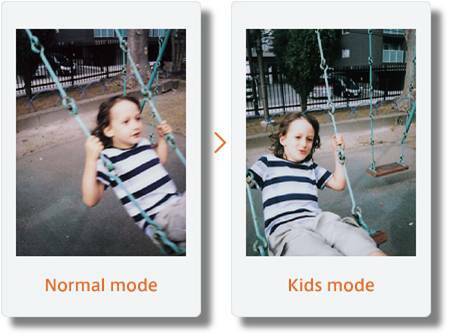 Kids mode – selects a fast shutter speed which is ideal for photographing kids, pets and other fast moving objects. Macro mode – perfect for stunning close up photography in the 30 to 60 cm range is possible. Party mode – the subject and background can be captured brightly and clearly. 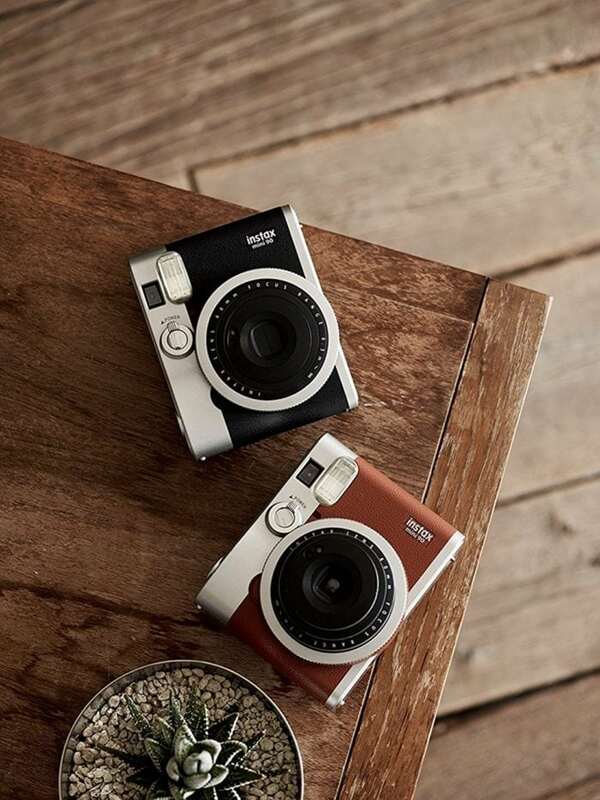 The Instax mini 90 can be used in portrait or landscape orientation, with a shutter button for each position ensuring a comfortable grip either way. One neat little touch is the front shutter button doubles as a mirror which can be very helpful when using the camera for selfies. It also features a timer which can be used to capture a special moment without leaving a member of the group out to snap the photo – make use of the tripod mount for the perfect shot. The optical viewfinder is rather small and it can be difficult to view through, particularly if you wear glasses. It’s certainly not a showstopper but we would have preferred a larger viewfinder for ease of use. Overall the range of settings and features are pretty straightforward to use and the learning curve is minimal. The Instax mini 90 is great fun to shoot with and captures natural, great-looking photos. Click here to see more reviews of the Instax Mini 90. The Instax mini 90 is a retro-inspired design and arguably the best looking of the Instax range. The camera is available in silver/black or silver/brown and is designed to give the appearance of a metal and leather camera although it is actually manufactured from plastic. The ‘leather’ portion of the camera is texturized soft plastic which makes the camera surprisingly comfortable to hold and shoot with. Weighing under 300g, and being fairly compact in size, the Instax mini 90 lends itself ideally to carrying around in your pocket which is crucial for an instant camera that will often be used during special events such as weddings or parties. Another really neat touch on the Instax mini 90 is that it features a modern lithium-ion rechargeable battery. Given that the camera does not have an LCD screen the battery life is excellent and we really appreciated it. The potential drawback of a rechargeable battery is that it would be more expensive to eventually replace however we feel this would be negated by not having to frequently buy AA batteries – it is a personal choice however. The Instax mini 90 is a stylish looking instant camera and if the retro-inspired design appeals to you over other cameras which can sometimes look cheap and a little childish then this camera is a great option. 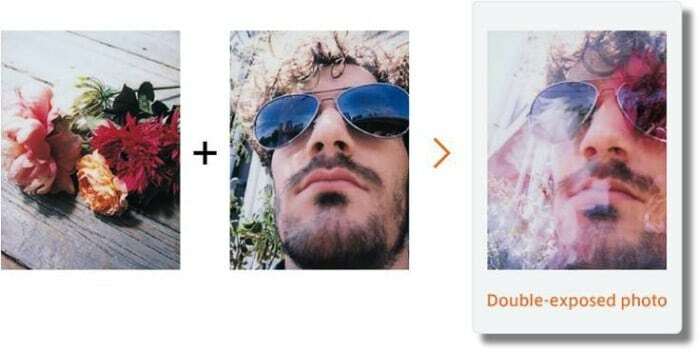 As we shared in this article, it also comes with a larger variety of features and settings than other instax cameras that again help to set the Instax mini 90 apart from its rivals. 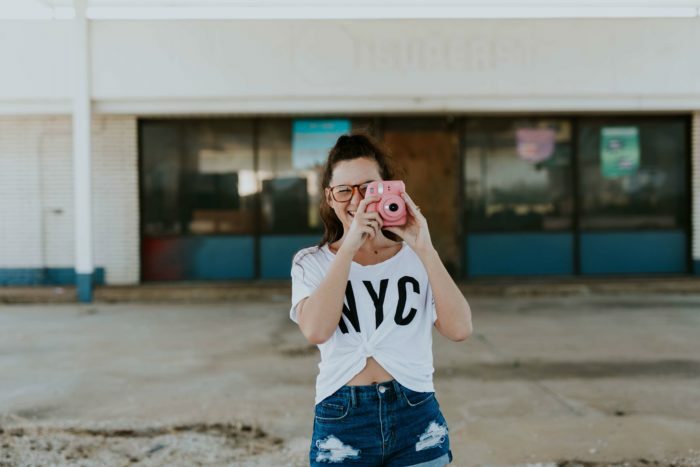 These extra features and neat styling do come at a higher price point however and this is something that you would need to consider before deciding which is the best instant camera for you.